We close out an eventful first round today with these four brilliant picks. Despite whatever jerkass Joe Flacco likes to believe, the Ravens are an offense built around the running game. The Ravens had a good line last year, but they are getting old. 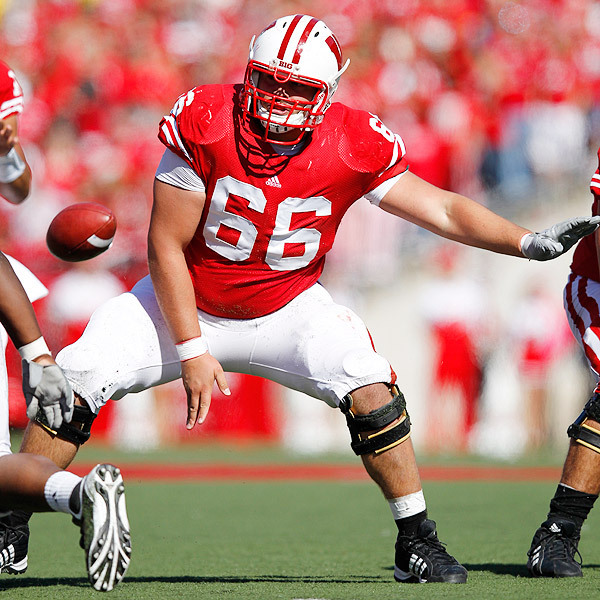 This pick was actually between two fellow Badgers: center Peter Konz and guard Kevin Zeitler. Matt Birk is getting old, and can't have a lot of seasons left, so it makes sense to grab the best center in the draft at this spot. Plus, he has the ability to line up at guard if Birk is still effective for a few more years. Konz had a huge part in springing Montee Ball for those 48 touchdowns last season. - Justin!!! 35 - Vikings - Justin!! !